So it can be expected that most prospective golfers have created very bad habits and beliefs right from the inception of the game. To truly improve the ability of a golfer, both the instructor and the golfer must understand his and her own mistakes. This can be especially difficult when bad habits and muscle memory have already been formed, but don't worry, here at GG SwingTips Golf we have the solution. When we started to play golf we were taught to keep the shaft and the club at ball line. This is helpful because you can rotate and turn more level through the shot. But the more your spine angle creeps forward the more your body has to compensate for the spinal flexion. It's important to keep in mind that there is definitely more than one way to shallow the club. The shallowing techniques we teach aren't the be-all and end-all of our instruction, but they are a big part of how we teach proper upper body movement in the golf swing. We believe in creating natural width in transition. It's a simple as that. As mentioned above, most golfers have big problems moving into a steep position right at the start of the transition. We are not 100% opposed to being steep in the backswing, however for most players, this ends up being detrimental during the transition and downswing. With the exception of Phil Mickelson, we don't know of any great players that were steep in transition and had a long successful career. Shallowing properly comes from a correct understanding of how to push the arms away from the body during the transition period. Moving the legs properly under you can be a little tricky to implement but when you have proper leg-work your arms naturally shallow out. Making the golf club more horizontally flat, or shallowing, has been a technique that frustrates several golfers looking to implement it into their downswing golf game. Golfers in search of a magic angle should discontinue this pursuit, as shallowing the club varies in aim based on the specific physical attributes of the individual. Weight, frame, and height contribute largely to how a golfer must maneuver in order to effectively shallow their downswing. By first being aware that there are elements of our golf swing and rotation that must be examined, we can now continue on and make the needed adjustments. Prepare to learn everything you could possibly need to know about shallowing the club and how it relates to your own downswing process. Most golfers are taking their downswings much too steep, placing their clubhead on the incorrect angle, with the toe and heel of the club visible. When shallowing out the downswing, the most critical element that many golfers neglect happens in how they come down on the swing. Managing the downswing correctly and entering the correct swing plane produces the desired shots. Understanding how to force the clubface to directly strike the ball on the correct angle will produce the shallowing effect that eludes many golfers that practice this technique. Many golfers also find it difficult to pull from their left sides, as most are right handed and have the habit of overusing their right side to draw power during their golf swing. If you allow the right side of your body to control the entire downswing, the chances of going too much over the tip creates a steep route to the impact, resulting from veering inside of the swing plane. Correcting your angle of attack when trying to shallow your downswing begins with properly shifting your body weight. Shifting our body weight correctly proves critical to our overall downswing through the natural prevention of coming down too steep, which would result in fumbled swing adjustments ruining the shot. During the downswing, 80% of our weight transfer to the lead leg. Using the ground to leverage power, this process can sometimes feel like an exercise in of itself. Often overlooked by many golfers, this downswing technique sets us up for success in our pursuits to shallow out the club. While your weight shift has become balanced, gravity becomes your best friend on the downswing. Without physically pushing the golf club down to the ground, let gravity naturally take the golf club through the swing and enjoy the precise shallowing on the angle of attack. If you try to force the movement at this point in the golf swing, even perfectly balanced body weight will not save a golfer from slices, pulled shots, or going over the top. Often overlooked as an afterthought by many golfers, flattening your left wrist prevents any bending from obstructing the downswing. Golfers should focus on keeping the left wrist flat at the very beginning of the downswing and following through upon impact. Keeping the left wrist flat, simultaneously with the aforementioned maneuvers, will result in a shallowed out golf swing that turns heads on the golf course. Shallowing out the club on the downswing will straighten the shot of any golfer. In the interest of preventing slices, pulls and unintentional hooks, golfers can take comfort in knowing their downswing avoids these disastrous common mistakes. Golfers who have perfected this downswing modification can attest to the difficulty involved in producing such a shot. Despite the difficulties associated with this technique, shallowing out the club should be on the list of any golfer looking to enhance their game and improve their overall golfing experience. With practice and constant modification to refine your golf swing, you can then begin to shallow the club with a comfortable level of predictable consistency. After devoting countless hours in golf instruction to assisting golfers looking to shallow the club on the downswing, we’ve devised the ultimate checklist in doing so. Equipped with an open golf stance, players will begin sending their shots onto a shallow downswing path that garners impressive results on the course. To understand how to achieve consistent shallowing of the club during the downswing, golf enthusiasts must first look at what the majority of players tend to get wrong. Nearly all golfers will slice and pull hook shots on their downswing golf game due to the sharp downward angle they take on impact. Players with downswings of this nature have a higher likelihood of swinging their club with the shaft 90 degrees towards the ground. The impact produced by a downswing of this nature has flaws due to the golf club veering over the target line from far out. Most golfers that experience this type of golf swing will find an immediate fix by shallowing out their downswing to produce straighter shots more consistently. When a golfer looks to shallow the club, they can depend on a flatter shaft angle at downswing, with their clubhead coming inside the target line towards the ball at impact. When shallowing out on the downswing, the golfer must first assume a more upright position at address then they typically have done with other golf swings. This eases the process of swinging the golf club around our frame. With our heads at the rear of the golf ball, our upper body easily stays parallel on the backswing, creating the optimal shallowing position once we’ve moved into the downswing position. Close to our target and ahead of our body, the club will move flush through the swing path along the target line on the takeaway. If a golfer has a tendency to produce sharp downswings, they may be taking the club too close inside on the downswing, causing it to curl outward when traveling downward. Shallowing out the club on downswing typically comes about through revising this swing process to do the exact opposite. Next, with backs towards our intended target, our shoulder turns to accommodate this position through the top of our backswing. Making a drastic turn with our shoulder at this point will create the optimal position for shallowing out the club through our natural swing path. Using the strength of our lower body, our downswing begins with our lead foot and hips moving in the direction of the intended target. Players that have a habit of coming in sharp on the downswing usually do so by veering outside of the intended target swing path. An inside to outside swing path will accommodate a powerful swing upon impact and create the perfect situation for a shallow downswing. Setting up a shallow swing path towards the golf ball requires a wide takeaway. Such can be obtained by practicing taking a golf club back, using only our left arm to do so. Once we have pulled the club backward with our left arm only, the golfer should extend their reach as far away from the rest of their body as possible. Gripping the club then with their right hand, a width can then be established that will be optimal to begin our downswing into the ball when the intended goal of our golf swing concerns shallowing the golf club. The best way to shallow the club on a consistent basis through downswing golf adjustments manifests through constant practice and adjustment until the desired result has been achieved. 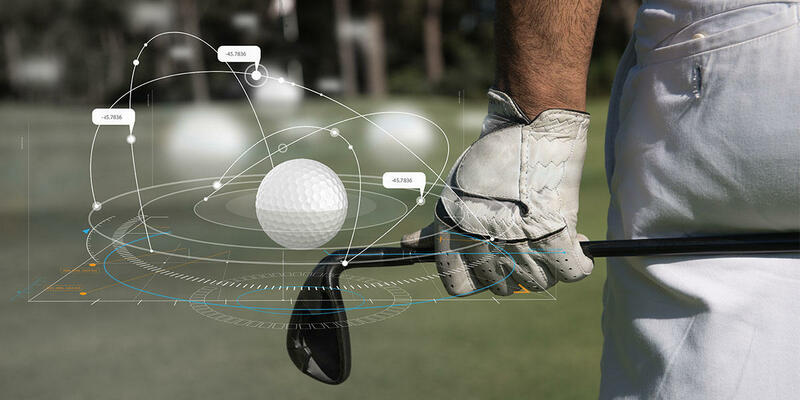 Before ever taking these techniques onto a live golf course, golfers should practice vigorously at the driving range. The 3 amazing drills provided in the video above assist golfers of any skill set with establishing a firm understanding of how to shallow the club and the tools needed to put the downswing golf strategy into practice on their own. Keep your eyes open for future blogs and more free video content geared towards helping golfers of all level improve the experiences on the course. For more information on golf swing tips and drills, feel free to subscribe to our YouTube channel and keep an eye on this blog for more great articles in the future.